Vernon Coaker replaced Jim Murphy in the shadow cabinet reshuffle last week. 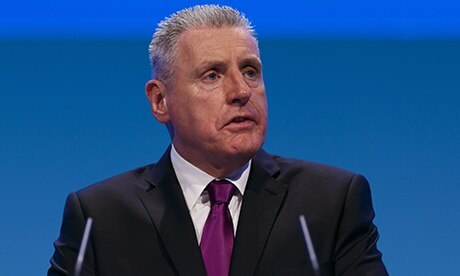 The new shadow defence secretary Vernon Coaker will display his personal commitment to Labour retaining an independent nuclear deterrent on Wednesday when he visits the yards building the Vanguard replacement submarines that will be the successors to the current Trident programme. Coaker replaced Jim Murphy in the shadow cabinet reshuffle last week and will travel to Barrow to show that Labour remains committed to a new nuclear deterrent. In advance Coaker said: “In an uncertain and unpredictable world in which other nations possess nuclear weapons and nuclear proliferation remains a deep concern, Labour believes it is right that the United Kingdom retains the minimum credible independent nuclear deterrent. This entry was posted in UK Submarines and tagged BAE, Barrow, Deterrent, MP Vernon Coaker, Submarine, successor, Trident on October 16, 2013 by jasonlockley. Reblogged this on Naval Matters.